1. Service – Regularly servicing your boiler is the first thing you should do, and we can provide a maintenance package to suit all requirements. 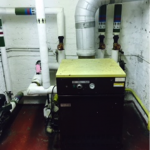 Servicing means you also attain maximum efficiency of your church heating system, reducing running costs as well. 2. Under pressure – Low water pressure in a boiler is a common issue, and is indicated via the front panel. 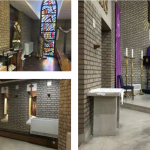 A drop in pressure could indicate a water leak, so check around the entire church. It can also drop pressure if the radiators have recently bled. You can re-pressurise the boiler yourself, just follow the instructions in your user guide. 3. Be safe – ensure your boiler is running safely by performing regular checks to avoid carbon monoxide leaks. This is the most dangerous types of hazard concerning your boiler and heating system, it carbon monoxide is invisible, odourless and doesn’t smell. You can fit an alarm to warn you of a leak, but prevention is always the cure. 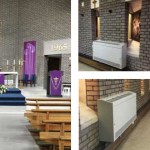 Our church heating engineers are Gas Safe Registered, so we can ensure your system is working safely.